This Danish Miller is thick - oversized in its diameter, although the length is well adapted for pockets. Black. Button filler. 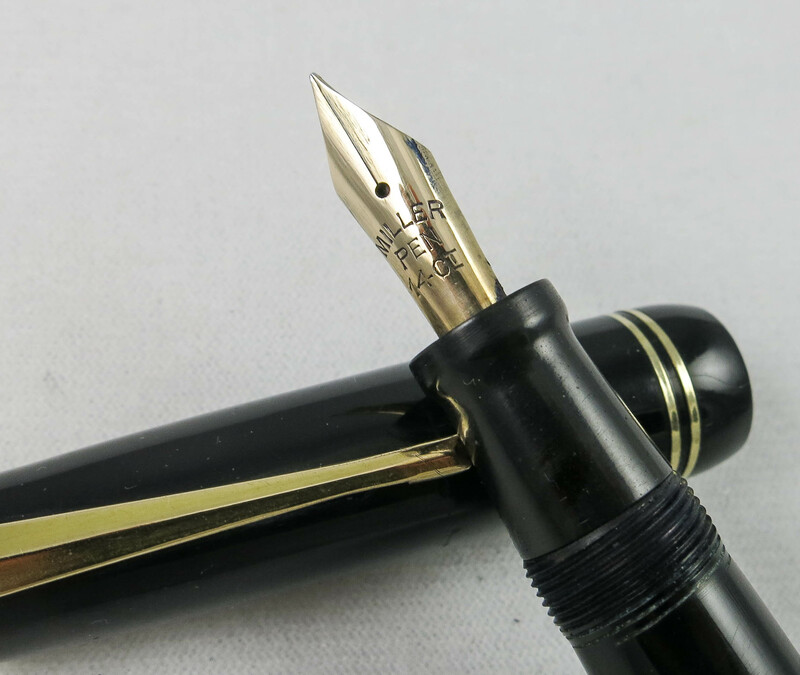 The nib is a 14 Kt Miller. Excellent condition with almost no wear. 5 3/8", 136 mm.